Yarriabini lookout invites visitors to relax and enjoy the magnificent coastal views to the Macleay River estuary and Trial Bay. 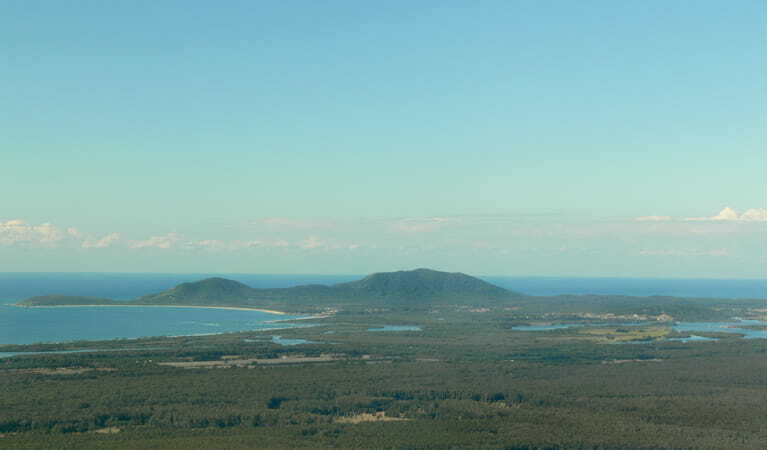 Your visit to the Nambucca region just wouldn’t be complete without a day trip to see the magnificent coastal views from Yarriabini lookout. This detour from Way Way Creek Road drive is a scenic drive up to the summit of Mount Yarrahapinni, lined with patches of orange in late winter when the banksias are in flower. 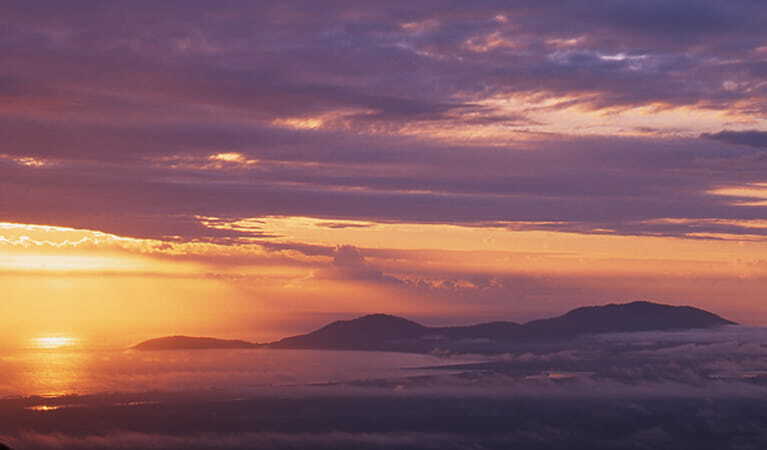 From the top, the views stretch south-east over lush macadamia farms to the Macleay River estuary and Trial Bay. On a clear day, the coastline near Smoky Cape in Hat Head National Park makes a dramatic backdrop to the towns of South West Rocks and Arakoon. Watch the sun rise over the distant ocean, then head back to Grassy Head for a refreshing surf. 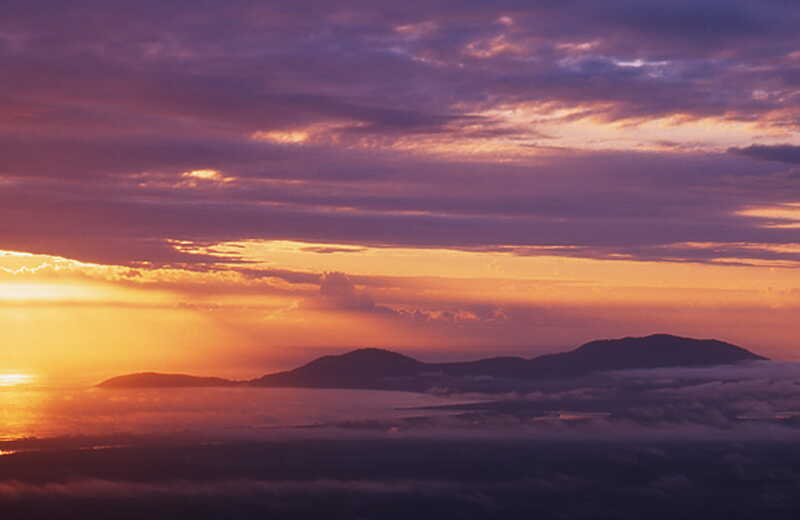 Pack a gourmet lunch and enjoy a relaxing picnic with a view while you marvel at the giant old growth forest nearby or visit nearby The Pines picnic area. 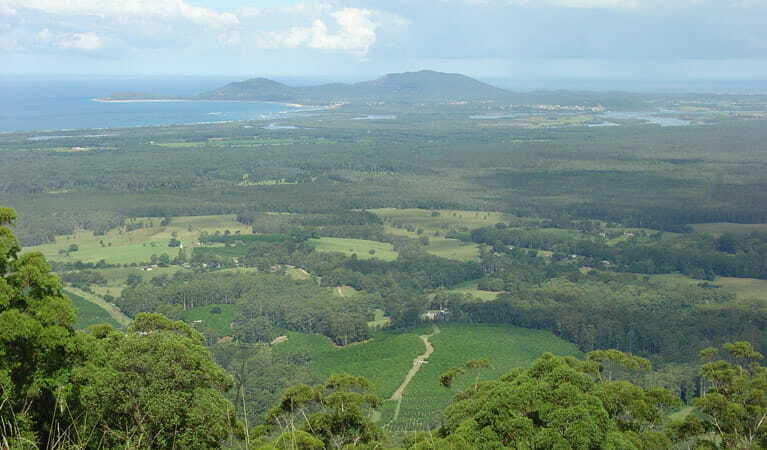 The lookout is also a great spot for birdwatching and the kids will love the sight of lyrebirds parading around the area. Yarriabini National Park is always open but may have to close at times due to poor weather or fire danger.